Part - Time Footwear Lead - Riverwalk (New Orleans, LA) at Under Armour, Inc. The Footwear Lead is responsible for positively impacting the customer’s experience by providing leadership and support in the footwear zone. The Footwear Lead assists store leadership in merchandising, replenishing, promotion and markdown execution, selling and customer service in the footwear zone. 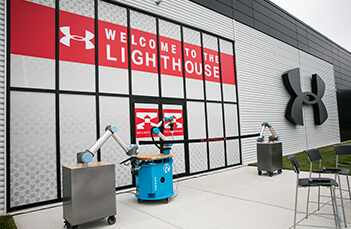 The Footwear Lead is expected to model Under Armour’s Core Competencies and I WILL behaviors in all actions and interactions in order to maintain a positive Teammate and Athlete experience. Teach, train and coach store teammates on footwear product knowledge and technology. Understand competitor’s footwear offerings, industry trends, and upcoming UA footwear releases to be able to educate athletes and team on what makes UA footwear unique and a competitive advantage for our athletes. 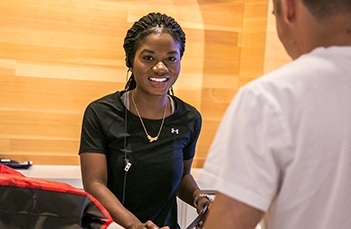 Drive teammate engagement by recognizing and rewarding teammates for their outstanding performance in delivering to Under Armour’s brand standards in footwear.